Problems with housing are one of the main causes of social exclusion. In order to confront this challenge, the Housing Agency of Catalonia offers the renewal of aid for the payment of rent. The aid helps guarantee that tenants with economic difficulties can remain in their homes. In this way, the traumatic process of losing a home and the risk of exclusion are prevented. 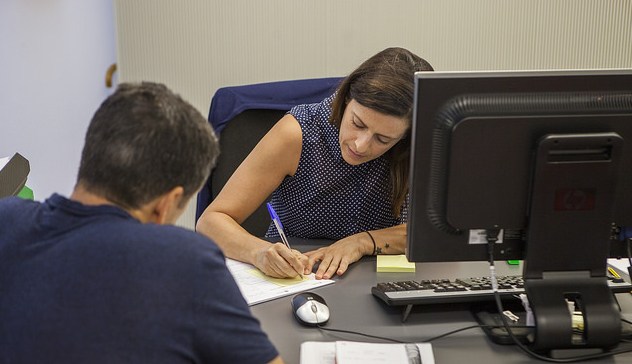 Beneficiaries of the previous call who reside in Catalonia and hold a rental contract for the home that constitutes their habitual residence are eligible for this aid. More information about this aid is available on the website of the Housing Agency of Catalonia. In these sections, you can find out the eligibility requirements and the steps you must to follow in order to request this aid. The application can be presented at any Housing Office of Barcelona. People who were beneficiaries of permanent aid in 2018. People who were beneficiaries of aid for the payment of rent in 2018. Applicant households must prove their ability to pay the rent with their own income. This condition is considered to be met when the household can prove an annual income that is equal to or greater than the amount necessary to pay the rent. 2.35 times the weighted Adequate Income Indicator of Catalonia (IRSC) updated in the case of recipients under MAH / 1100/2010 Resolution, of April 8 (more information presented in the table). 1.5 times the Adequate Income Indicator of Catalonia (IRSC) updated in the case of recipients under Resolution TES / 1101/2013, of May 15; of Resolution TES / 884/2014, of April 11; of Resolution TES / 667/2015, of April 2; of Resolution GAH / 940/2016, of April 5 and of Resolution GAH / 657/2017, of March 27 (more information presented in the table). Rent payment for the home must be made by bank transfer, direct debit, account deposit, or receipt by the property manager. An application must be submitted in order to obtain an extension of the aid for rent payment. If there are members of the household who are not required to file an income tax declaration, the imputation certificate from the State Tax Administration Agency (AEAT) and the working life report or the corresponding certificate of tax exempt pensions or benefits must be submitted. The working life report must be ordered through the Social Security website or by phone 901 502 050. For exceptional situations where the applicant or a member of the household had a significant change during the year of the call in relation to their income for the closed fiscal year, the income of the current year will be admitted for the person/s who had the change. A working life report and responsible declaration for the income received are required. In these cases, the applicant must also provide a responsible declaration stating the cause for the significant change in income in relation to the general period that must be accredited according to the call and the income obtained during the year of the call. Rent receipts: all rent receipts corresponding to the year 2019 that have been paid up to the submission date of the application. The valid DNI / NIE of the person/s that had the change. For non-EU applicants, a residence certificate or the original and a photocopy of the NIE, indicating "long term" or "permanent residence" for a minimum period of 5 years. Judgment and / or corresponding regulatory agreement, in the case of persons who have separated or divorced since the date on which the aid was granted. New rental contract confirming payment of the deposit (the contract must include the property registration number of the home). If applicable, certificate of disability, family register book, large family card and / or single parent card. If applicable, separation or divorce sentence and / or the corresponding regulatory agreement. Income tax declaration (IRPF) and imputation certificate of the applicant and of all working age members of the household. The maximum amount of this aid ranges from €200 per month (€2,400 per year) to €240 per month (€2,880 per year). The minimum amount in both cases is €20 per month (€240 per year). The call to request this aid is closed since 1 March 2019. Maintenance of the basic income for emancipation (RBE) for the same monthly payments and any other aid or benefit from other public administrations that has the same purpose. Aid of special urgency and other aid from other public bodies or other organisations that is intended for the same purpose and the same monthly payments of the year of the call. If an applicant has the right to collect special emergency aid and the aid regulated in these bases, the sum of both may not exceed 3,000 euros. Implicit aid for people at risk of social exclusion and users of the rented housing pool, owned or managed by the Government of Catalonia, for the monthly payments of the same year. Aid for the payment of rent that is the object of calls of the Housing Consortium of Barcelona or of any other public body. The payment of the aid is subject to the budget availability established in the call and to the knowledge of the Housing Agency of Catalonia that the beneficiary is up to date with rent payment.